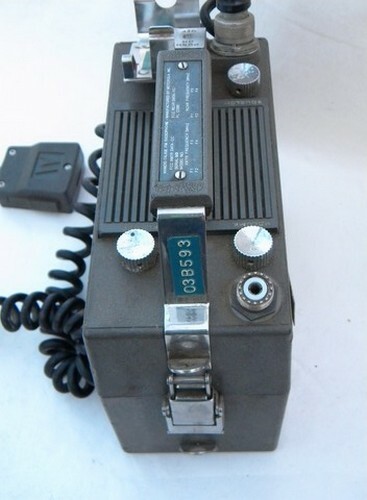 Vintage Motorola portable "lunchbox" FM radiophone transceiver for repair or parts. 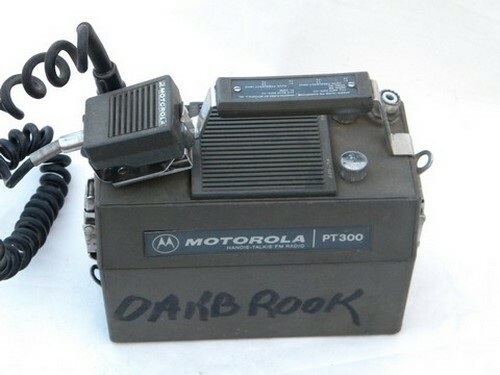 This is a "Motorola PT300 - Handie-Talkie Radio", a portable two way radio with a hand held microphone. 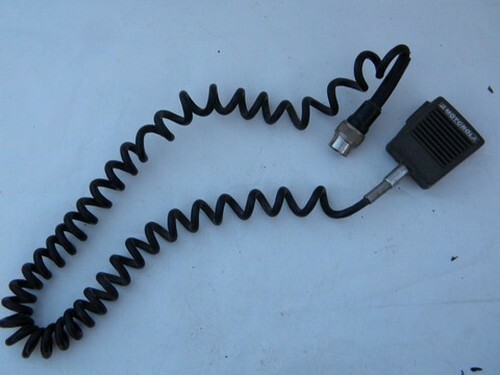 It doesn&apos;t have an antenna, just the threaded connector. We&apos;re not sure of the exact vintage of this radio, but were told probably from the 1960s or 1970s. 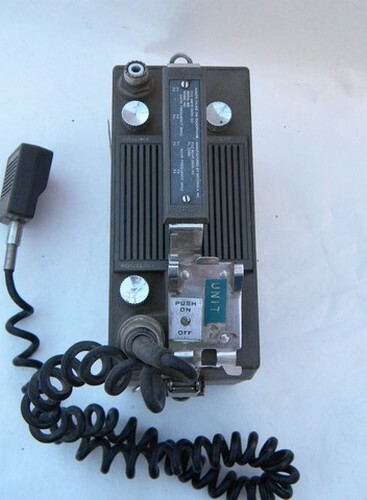 This radio is marked as a model "P33DEN3100BM". 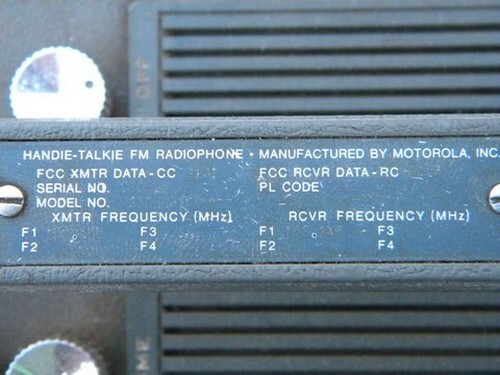 The radio measures about 8" x 8" x 4". 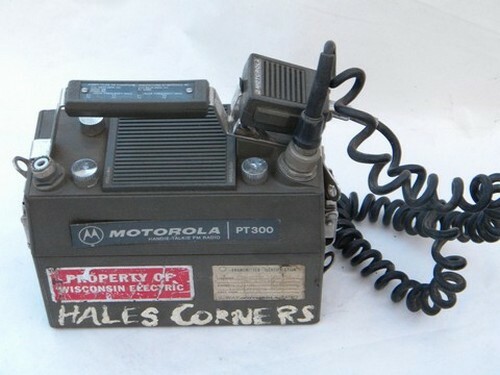 This FM walkie-talkie radio is from the estate of an industrial communications engineer and shortwave / ham radio enthusiast. 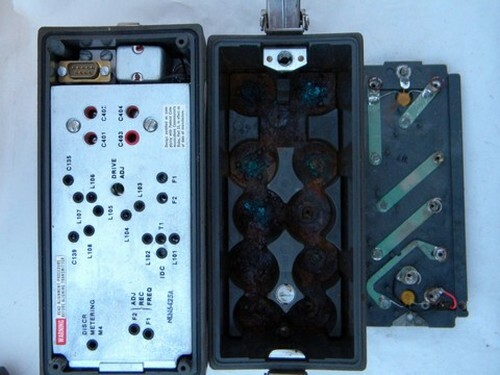 The case of this radio has wear, paint, name etc., but no major chips or cracks to the plastic. 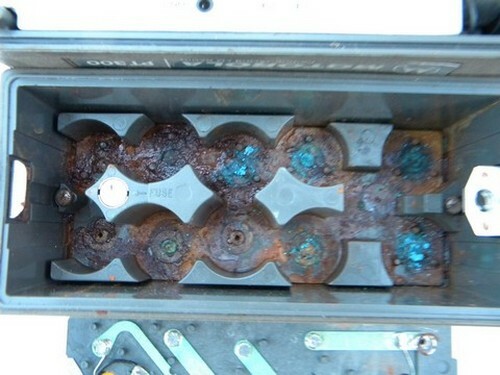 However, the battery terminals in this case are badly corroded and rusty. They will need work. We powered up this radio with the battery case and antenna off of a different unit and only get it to power up sporadically (maybe a loose or dirty connection, we&apos;re not sure), so we&apos;re selling this vintage radio for repair or parts. This radio was in storage in an attic for many years and has dust and soil from storage and we are assuming that you&apos;ll need to do some tweaking, tuning etc to this radio.